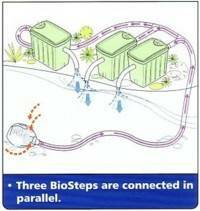 The Matala Bio-Steps 10 gravity filter maximizes Matala® filter media performance. 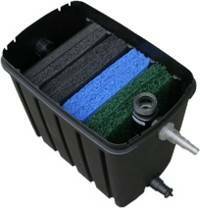 Matala Bio-Steps Filters feature the latest generation of filter media. 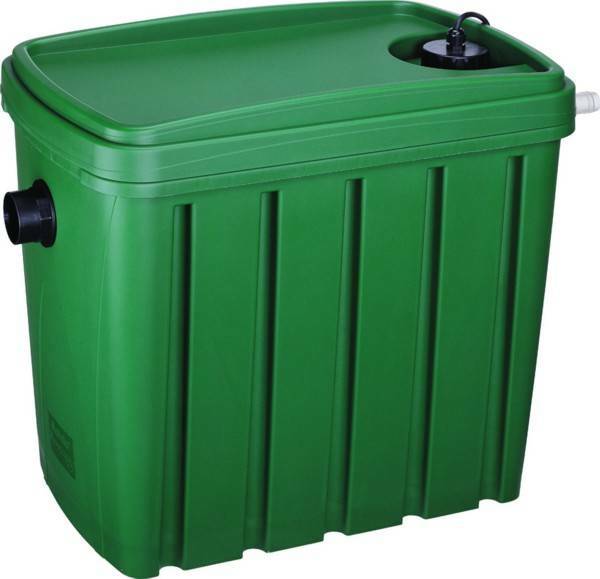 This lightweight, versatile product is made of curly fibre thermo-polypropylene compounds and is non-toxic to the environment. 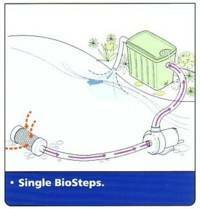 The rugged Bio-Steps 10 contains an amazing 200 sq.ft. of surface area for beneficial bacteria growth. Combined with a cross flow design that traps and processes more debris at high flow rates, you get unparalleled mechanical and biological filtration for superior water quality. 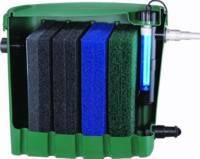 Combine multiple units for large or heavily stocked koi ponds. Universal barbed inlet (1", 1-1/4", 1-1/2"), 1-1/2" outlet. 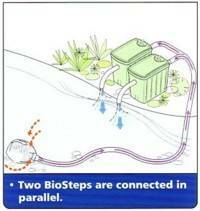 For ponds up to 2,700 gallons, step-wise transition from mechanical filtration to high-efficiency bio filtration. Dimensions (L x W x H) 23.2" x 12.4" x 20.2"